Not so long ago I was talking about the Danish concept of Hygge, or what can roughly be translated as ‘wellbeing and coziness’. Something that is super hygge is hot drinks – there’s nothing quite like curling up with a good book and a warm drink while it’s grey and cold outside. This Matcha Peppermint Cocoa Latte recipe is hygge to the max! I’ve loved matcha for years, it’s a powdered form of antioxidant-rich green tea which has a number of benefits including supporting a natural energy boost, beautiful clear skin, better memory and mood, improved metabolism and more. A serving of matcha is the equivalent benefit to that of several cups of green tea. 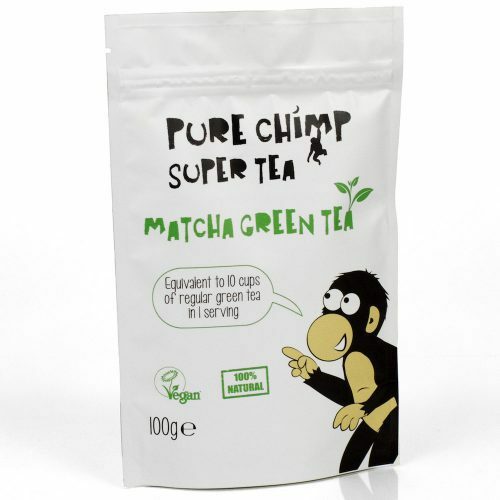 PureChimp Matcha is super high quality and great tasting. They even have different flavours of matcha available if you’re not sold on the natural flavour of green tea. Plus 5% of their profits go to charity! 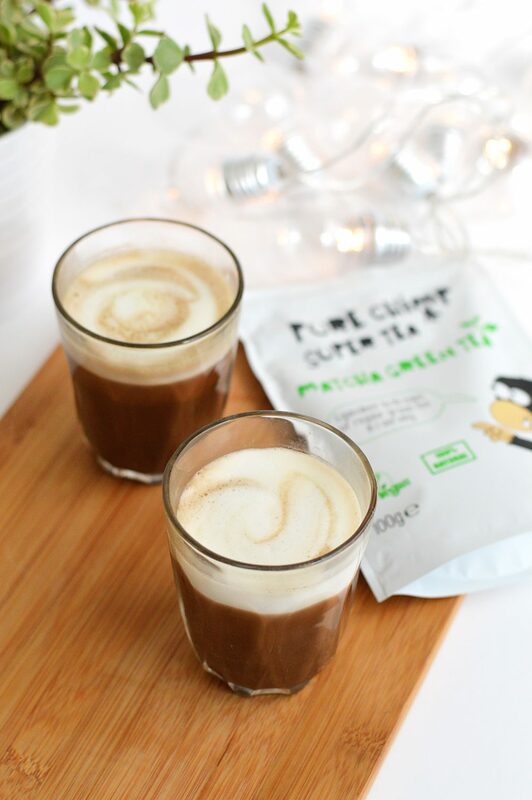 Similar to my very popular coconut matcha latte, this recipe uses matcha for all its benefits and flavour, but here I’ve increased the hygge factor by making it chocolate peppermint flavoured. Using cocoa powder obviously makes it taste amazing but also adds even more antioxidant power. Heat the milk in a pan over a medium high heat until simmering. Pour out about 150 mls of the milk into a separate bowl and froth using a milk whisk (this step is optional). Add the matcha, cocoa powder and honey to the pan and whisk until the matcha and cocoa has incorporated. Add the peppermint flavouring or oil and whisk again. Pour into two cups or glasses and top with the frothed milk. I use Rude Health Almond Drink which is quite naturally sweet so I don't use honey in mine. Taste to check levels of sweetness and adjust as needed. In the above recipe I’ve used plain matcha and added peppermint oil for the flavouring, however PureChimp also sell a mint flavoured matcha so that would work very well in this recipe! Leave a comment below letting me know you’ve entered. Giveaway EXTENDED closes Sunday 23rd October at 11.59pm. Good Luck! Are you a matcha fan? Have you ever tried it with chocolate?